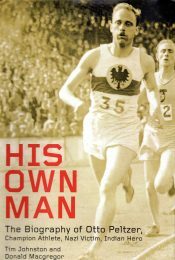 British Olympic marathoners, Tim Johnston (8th in Mexico 1968) and Donald Macgregor (7th in Munich 1972) have rendered a service to the English-speaking athletics world with their new and comprehensive biography His Own Man, of the life and trials of Dr Otto Peltzer (as he was invariably styled). The German has doubtless been overlooked by dint of poor Olympic performances, through injury in the latter part of his career, 1928 and 1932. But the exclusion of Germany after World War I through to Paris 1924 was a major lost opportunity for Peltzer since he was coming into the form of his life. From 1922 to the early 1930s, he won a score of national titles as a middle distance runner (including 400mH), and set a dozen German records; but it was his world records at 800 and 1500 metres, set in races in 1926 against British Olympic 800 metres champion Douglas Lowe, in London no less, and against the immortal Paavo Nurmi at the longer distance, which set him apart. He followed that, in 1927, with a 1000 metres world record in Paris, against the then record holder, Séra Martin of France. That is a competitive record against supremely talented rivals that would pass muster in any age. As well as being by far the leading German athlete of his day, Peltzer was a Renaissance man, with a doctorate in social sciences, intellectual curiosity, and a taste for international travel.  That variety of interests, as Johnston and Macgregor know only too well from their own obsession with long distance running, may ultimately have prevented Peltzer reaching his ultimate goal of Olympic gold. In one of the nicest passages in the book, they write, ‘(he was) on the one hand, a new Siegfried, aspiring to reclaim Germany’s lost Rheingold…. ; on the other, a man with a multiplicity of interests that precluded him from the single-minded concentration required of a potential Olympic gold medallist’. Though the authors have tried to cram in a little too much incidental detail for my taste – less is more – that is a minor gripe. For this is a finely written book by Macgregor and Johnston, whose exhaustive research was launched after they were introduced to their subject by my former East German colleague Volker Kluge and his original biography of Peltzer, whose title, Otto Der Seltsame (Otto The Strange) gives you a hint as to the curious character of Peltzer. Johnston and Macgregor do not shrink from mention of Peltzer’s possible paedophilia which may prove a problem for some modern-day readers, but they cleverly foreground his homosexuality in the opening chapter of their book by currying sympathy for the world record holder when he is grotesquely ill-treated on his first day in a Nazi concentration camp, where he was despatched not just for his sexual preference, but also for his alleged communist sympathies. The bottom line, from the authors’ account is that Peltzer was not a man for the party line in whatever he did, hence their own indicative title. Peltzer would spend four years in Mauthausen KZ, where regular beatings were intended to justify the prediction by his captors that he would not last long. But he survives against the odds, as he survives injuries and other major setbacks in his life, including the constant opposition of enemies like prominent Olympic official Carl Diem, and the realisation that he needs to emigrate from post-war Germany and suffer the privations of the later years of his life in India, though triumphing once again when he coaches a bunch of street kids to a sufficiently high standard to win a match against a visiting German team of athletes. Born with the 20th century, Peltzer was able to return to Germany in kinder times, in the late sixties, and died of a heart attack in 1970. Had he lived a little longer, he would have experienced the role reversal which saw Carl Diem, via the revelation of his Nazi collaboration, consigned to the dustbin of history while Peltzer’s victimisation, allied to his writings and latter-day coaching have resulted in the DLV, the national federation institute an Otto Peltzer Medal, for services to German athletics.